Enjoy Thailand Without Visiting The Beach – When you think of Thailand, I bet one of the first things that come to your mind are long, white sandy beaches and those beautiful long-tail boats with colorful cloths tied to the front. You would be forgiven to think that life is a beach in Thailand, but there is so much more to the country than the beach. Enjoy Thailand Without Visiting The Beach, In Thailand, we had some of our most memorable experiences inland, and while a visit to the beach is almost compulsory when visiting Thailand, I really think a trip inland is a must, and then I don’t mean a short visit to Bangkok. We went to Ayutthaya during the World Heritage Fair, and as with every festival and event in Thailand, there has to be a beauty contest. This one went with the rather strange theme “beautiful daughter and possessive father”. Some people choose to take one of those great Thailand tours which takes them all over the country without them having to worry about a thing, but if you’re in for something more challenging and if you want to choose your own schedule, I would suggest doing it alone. This place is often overlooked because it doesn’t have any huge attraction, but there is something about this town which I really think deserves a night or two. 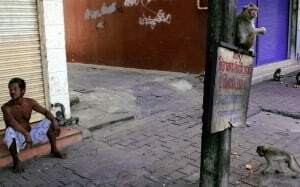 The place is overrun with crazy fun monkeys, and it’s pretty interesting to see how instead of finding a way of ”getting rid” of the monkeys they have chosen to play by their rules and put bars over their houses and windows to avoid the monkeys from coming inside their homes. The vibe here is relaxed, the people are friendly, and everything is a lot cheaper than elsewhere in Thailand. Sukhothai has the most fascinating and beautiful historical park in the country, and it’s easy to get stuck there for a while. Many people would recommend Ayutthaya, which is also a nice place and very close to Bangkok. It’s great fun during one of the many festivals there, but if there is nothing special going on at the time you travel, skip that and choose Sukhothai instead. It’s more beautiful and personally I think everything there was better, from the accommodation and food to experiences. A Memorial stone for loved ones who have passed, Turtle Temple, Bangkok. I can’t think of a better place to let your loved ones rest than in this peaceful temple. People fall in love with Chiang Mai for different reasons – some like the cooler climate, others the extraordinary food, or the cheap accommodation. Chiang Mai is a great place to base yourself in and take small day trips to surrounding villages and towns. There are tons of activities and tours to choose from, like cheap cooking courses, zip line adventures and Elephant camps, but also just hiring a scooter and driving around the outskirts is a great option. 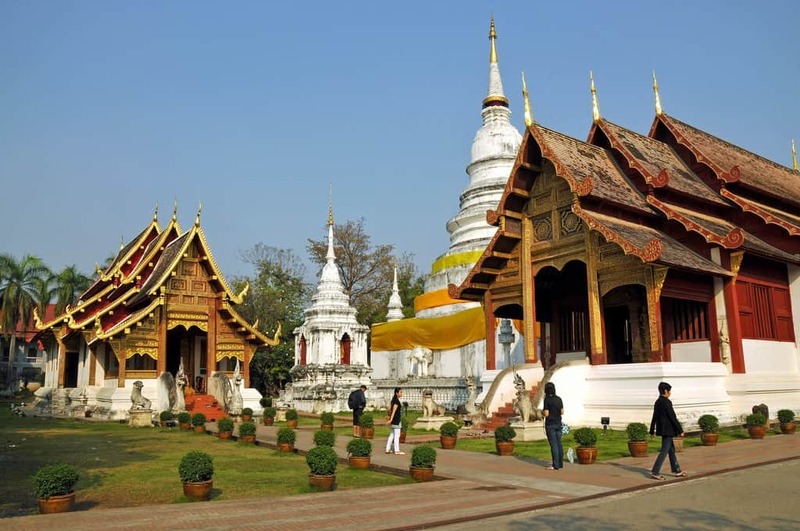 Chiang Mai is also famous for its abundance of temples. If there is any place in Thailand where you can get “templed out”, it’s here. From here you can find buses to Chiang Rai, Pai, Lampang and even Mae Hong Son, which are other interesting and fun places to visit. These are just a few places away from the beaches in Thailand that are worth exploring, but you could spend months in Thailand exploring villages and cities without ever even see the water. They are so big and look so clumsy, but they are actually very sensitive, intelligent and gracious. Only the trunk itself contains 100,000 muscles and is used for so many things. Thailand Luxury Trip travel agents Kenwood Travel have over 35 years of experience in tailor-making amazing holidays bespoke to their customers’ needs. Central to this service is their ability to provide first-hand knowledge of the destinations they serve. Last year the Kenwood team traveled far and wide visiting the crème de la crème of luxury locations including Mauritius, Las Vegas, Dubai, Granada and Barbados. Gaining valuable expertise and appreciation of these places, which can be passed on to customers in a uniquely personal way, is all part of the process at Kenwood Travel. These intrepid experts even squeezed in a bit of fun along the way too. One travel consultant who embodies this spirit is Matt Hall. He documented his Thailand Luxury Trip on video, which you can see here, and I thought it might be a good idea to ask him a few questions to accompany the film. I started by asking him the obvious: Which of the places he visited were his favorite? Feeling the pressure slightly, he finally decided upon the general area of Krabi as his number one locale. “Krabi really symbolizes Thai beach life,” he told me. Even more sensational views come at sunset and many of the beaches provide cozy beanbags in which to recline as you savor an exotic cocktail. Matt highlighted Tubkaak Resort as a good example of this. To summarize, he explained that Krabi is an all-round idyllic holiday destination that offers boat trips, trekking and diving, and while in the town, world-class shopping and dining can be found. Coming in at a close second for this Thailand Luxury Trip was Khao Lak. As a quieter and more laid back beach town, its untouched pristine beaches were particularly special for him. The area had to be extensively rebuilt after the tsunami in 2004 and Matt heard some stories that will stay with him forever. One such story featured the amazing Saroijin Resort. After the disaster, the owners stayed when the other hotels in the area left. They helped the local community rebuild and assisted in securing pipelines and infrastructure. As such the owners are deservedly held in high regard in Thailand. Matt was honored to stay at the resort. These heart-warming tales were told by the hotel’s ‘Imagineer’ who is on hand to help guests in any way – from setting up a dinner proposal on a remote beach, to spending an afternoon shipwrecked on a deserted island. Matt’s favorite hotel proved to be another tough question: “Near impossible to answer.” He said the reason for his ambivalence was the sheer variety of hotels on offer in Thailand. Others, like the aforementioned Tubkaak, have a more intimate, boutique appeal. The Rayavadee and Centara Grand Krabi are totally unique due to a combination of their accommodation style and setting – hidden away on sequestered beaches surrounded by limestone cliffs. Pushed for an answer as to his ultimate favorite hotel, he eventually decided upon The Shore by Katathani. He enjoyed being able to amble along Kata beach to the little restaurants, shops, massage parlors and bars, and a short taxi ride took him to Patong and its vibrant nightlife. The beach at the Shore is “one of the best” and its pool villas are in Matt’s top three room-types of all time. He went on to describe the comfort, service, cuisine and location as first class. Certainly sounds like it ticked all the boxes. Elsewhere he loved his stay at Six Senses in Koh Yao Noi. This resort is eco-friendly and boasts spectacular sea views from the Hilltop Reserve infinity pool and bar. There’s a palpable “Robinson Crusoe” atmosphere to the place, and it boasts some unique extras, like 24-hour homemade Gelato ice cream. I mentioned to Matt how much fun it must be to travel by boat in Thailand, being able to gain new perspectives on the stunning scenery. He was quick to agree. He also confessed that it’s a great way to top up the tan! Many resorts in the area offer transfers on private speedboats and very often have private jetties on the mainland to take clients to and from the islands. It could be argued that, following films such as ‘The Beach,’ Thailand suffered a reputation for attracting too many gap-year backpackers. Some detractors were quick to stamp it with the ‘tourist trap’ label. Finally, I asked Matt whether he experienced any of this while he was there. He explained that Phuket is the busiest tourist hot spot so you have to expect other travelers and backpackers. His advice is to choose your locations carefully and recommends calling Kenwood Travel to speak to either himself or one of his colleagues to plan your Thailand Luxury Trip. They’ll be able to gauge what type of holiday you’re looking for, and place you in the ideal resort. “If you want busy, you can have busy. 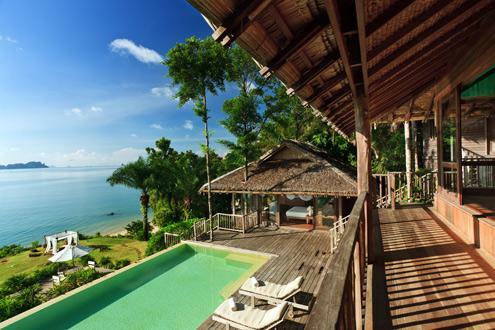 If you want off-the-beaten-track barefoot luxury, then places like Zeavola offer this,” he said. Knowing where to go helps, as you can even find empty beaches in Phuket. How to enjoy Thailand at its fullest? 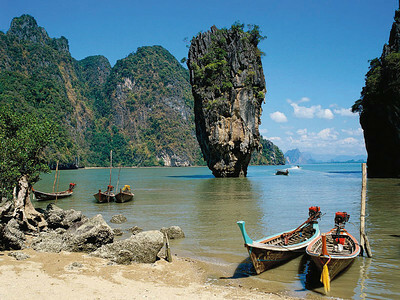 Thailand is one of the most popular Asian vacation spots around the world. With its extraordinary weather and passionate locals, it is hard not to fall in love with this place. You can always take a good rest with the breath-taking sunset and beautiful coral reefs, and let’s not forget the food. Here is the perfect travel guide for you to enjoy Thailand at its fullest. There are three seasons in Thailand, the High Season, Shoulder Season and Low Season. During the High Season, which is November to March, the weather would be cool and dry, meaning that you can enjoy some soothing sea breeze after your scuba diving. Also, you can take part in one of the major events in Thailand, the lantern festival. During April to June, the Shoulder Season, it would be hot and dry. The average temperature can reach to a swooping 30°C with a hint of humidity. It would be the best to visit Central, North and Northeast regions. For July to October, the Low Season, you would be expecting a lot of rain, ranging from showers to raining cats and dogs. Make sure you have several back up plans if you are planning outdoor activities in these months. Thailand is a large country with a lot of charming cities. The most famous one would be Bangkok. 23.3 million of visitors went to Bangkok in 2017 to experience the vast contradiction between solemn temples and the wild night clubs. Another popular choice would be Chiang Mai. Located in the middle of the ancient Lanna Kingdom, you can find mountains and valleys in Chiang Mai, allowing you to take a break from your busy city life. 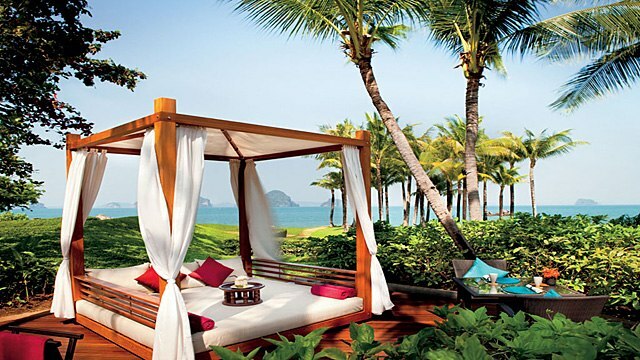 When it comes to sun and beaches, you could not miss Phuket. With amazing beaches, there are a lot of activities you can choose from, like diving and scuba-diving. For those party animals, you have to go to Ko Phi Phi where you can enjoy an exotic night life. There are a lot of things you can do in the land of smiles. You should definitely get on a Tuk Tuk, the Thailand traditional taxi while you explore the city. To spend an exotic evening with traditional Thai festival, you can participate in the Lantern festival where you can release a lantern to the rivers or join the Full Moon Party held every month. For foodies, you cannot miss the floating markets where you can shop for Thai food and spices while you travel around colorful the Internet is crazy about. As for those who are into outdoor activities, you can participate in scuba diving, where you can explore the clear waters and observe the colorful corals. Another attraction in Thailand for some would be their elephants. As one of the countries that loves elephants, you can visit these adorable animals in multiples places. So grab your passport and a useful travel guide, and start your journey to the land of smiles! Spot on. I’ve been to Thailand five times (and I’ve been living in Chiang Mai for three months now) and I’ve not once been to the beach. I’ve nothing against sun, sea and sand, but for me this is the real Thailand up here in and around CM. Thank you guys for the great information. We’re heading to Chiang Mai for the 1st time in October and are planning to stay at least 6 months. Your post has us even more excited about the trip and the opportunities in front of us. This is a great post, thanks for sharing. Thailand has so much to offer beyond the beach, you are right. Chiang Mai is a particularly beautiful and fascinating city. I’ve fallen in love with Thailand after two visits. And I’ve been fortunate to see both the interior and coast. But when posed with the question, “If you could choose to live anywhere in Thailand, it would be….”, my answer is always Chiang Mai. I can’t wait to return. Seems to be a common theme – people fall for this great city. I haven’t been to Thailand but LopBuri and its monkeys sounds very interesting! The other areas sound equally inviting. Chiang Mai and the area around is a beautiful place, I can see why you’ve stayed there for 3 months! Oh that sounds lovely, I think you guys are going to love it there – there is always something to keep you busy. Glad you like it, yeah there is so much to see and do in Thailand that you would miss if you only stick to the beaches. This is some valuable advice! I usually spend my winter holidays at the Christmas Market in Brussels but this year I feel like somewhere a bit warmer! how is Thailand at Christmas time? This article is so true. When I visited Thailand, I didn’t go to the beach and had an amazing time. 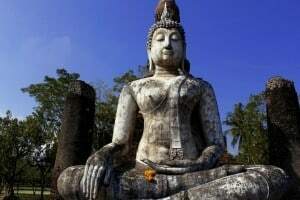 Sukhothai and Chinag Mai are full of sights and activities. I can also recommend Ayutthaya, Chiang Rai and the Golden Triangle and the area around the River Kwai. If you are intereste din the rich history of the country (or on some adventure options), the areas not necessarily close to the beach are ideal. We’ve only been to Bangkok. Haven’t heard of LopBuri, but we love monkeys! So we’ll probably have to put it on our list next time we’re back in Thailand.